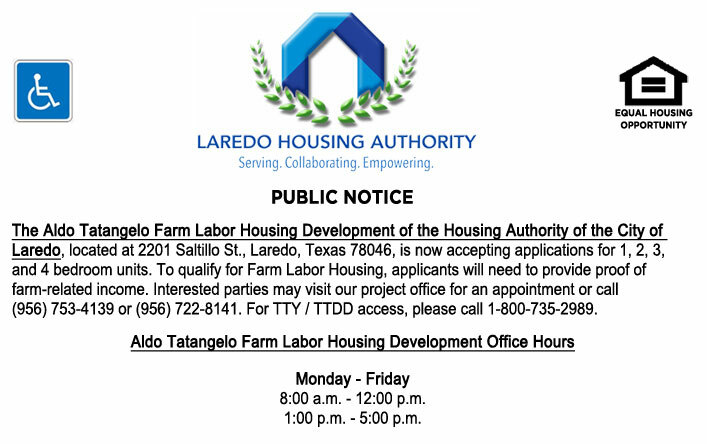 The Aldo Tatangelo Farm Labor Housing Development of the Housing Authority of the City of Laredo, located at 2201 Saltillo St. Laredo, Texas 78046, is now accepting applications for 1, 2, 3, and 4 bedroom units. To qualify for Farm Labor Housing, applicants will need to provide proof of farm related income. 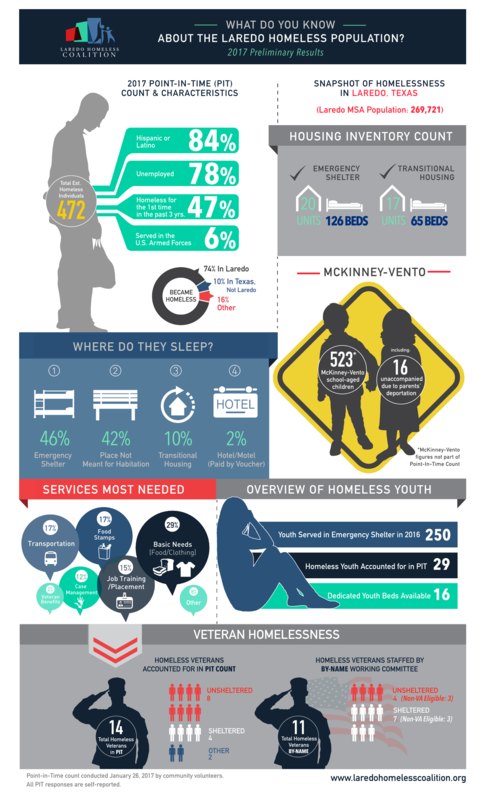 Interested parties may visit our project office for an appointment or call (956) 753-4139 or (956) 722-8141. For TTY/TTDD access, call 1-800-735-2989.
or by fax at (202) 690-7442, or email at program.intake@usda.gov.